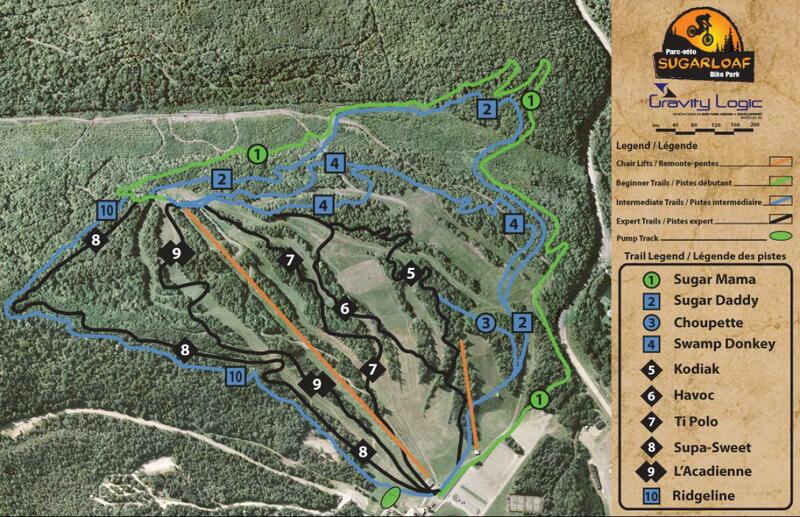 Bike park with lift-serviced terrain, pump track, XC trails, and a campground. Review: Super fun weekend. Did every trail excepted the acadienne. Rental where not expensive and the lift is brand new. Very Good service in all the park. Sugarloaf Provincial Park MTB Trail 0.00 out of 5 based on 1 ratings. 1 user reviews.